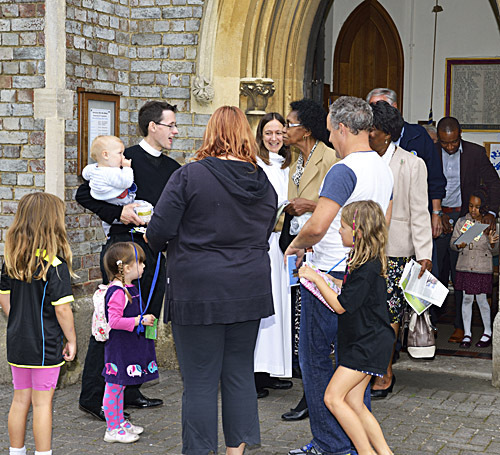 At St Peter's we are delighted to welcome visitors of all ages. Details of our services and events are shown on the Calendar. There is some parking adjacent to the church, and the school playground provides considerable additional parking when not in use for school purposes. Life at St Peter's is our weekly news sheet, and the keys our monthly magazine, both of which give information about forthcoming services and events. Earlier editions of the keys may be found here.